Playism is bringing the game to the West. 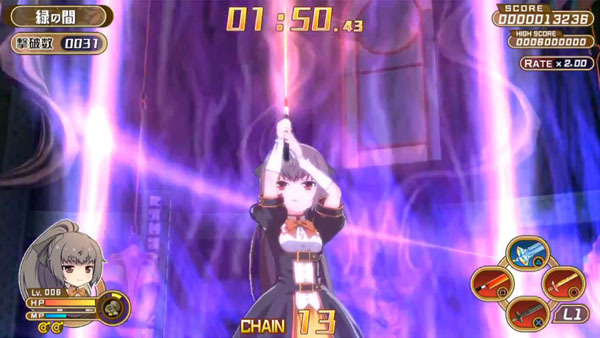 Croixleur Sigma is an interesting iteration via Playism that features frenetic hack-and-slash action and it's releasing in Japan on March 5. The first footage from the PS Vita version has been released, showing off several improvements. It's important to note that this is all test footage, however, and it's only actually 20 seconds long. Both PlayStation 4 and PS Vita versions will be localized for Western release.